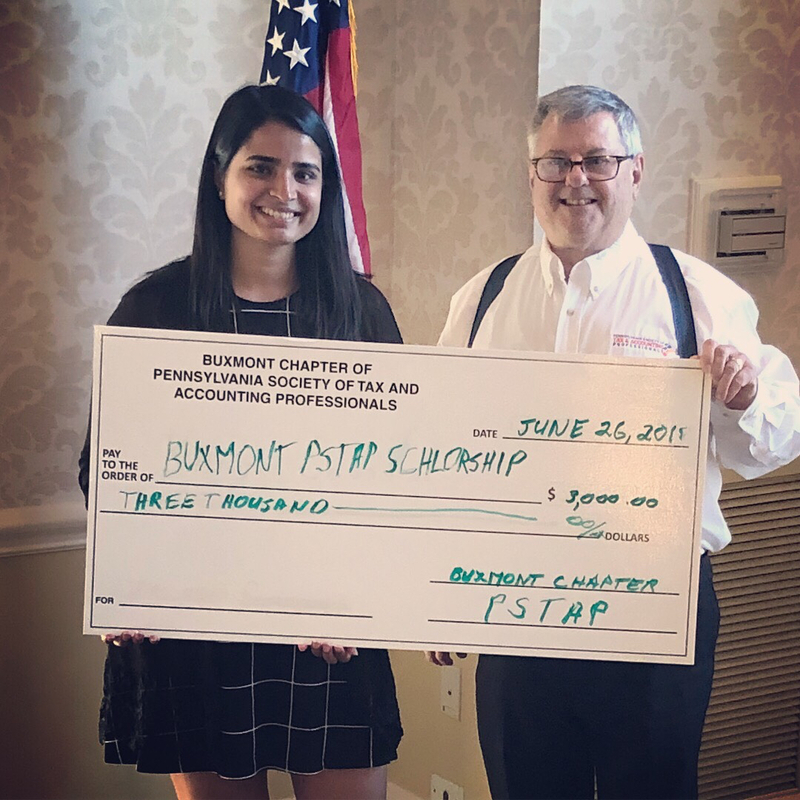 Sonia Saini received a $3,000 scholarship from the Buxmont Chapter of the Pennsylvania Society of Tax & Accounting Professionals. 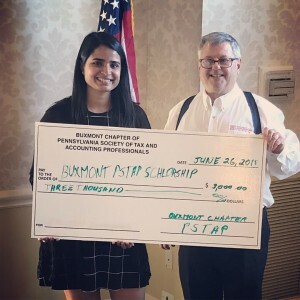 Accounting senior Sonia Saini has received the $3,000 Howard Matter Scholarship from the Buxmont Chapter of the Pennsylvania Society of Tax & Accounting Professionals (PSTAP). Scholarships are based on GPA, volunteer work, involvement in clubs and internship experience. Buxmont is the PSTAP’s largest chapter, representing over 450 certified public accountants, public accountants, enrolled agents and tax practitioners in Bucks and Montgomery counties.